Bertolino Plumbing & Heating | 757-463-2666 • Call Us! Get your heating or plumbing situation resolved today with the most experienced and qualified Hampton Roads Master Plumbers in the area. Contact Bertolino Plumbing & Heating at 757-463-2666 and let us show you why we are the plumbing company residents and business owners of Hampton Roads turn to most. Rob Bertolino is a Master Plumber in Virginia Beach. He started Bertolino Plumbing & Heating on January 1, 2009. Rob and his brother Tony partnered in early 2015. Rob and his family love the plumbing business. If you call Bertolino Plumbing and Heating your will be serviced by the business owners themselves. Rob takes great pride in his work and reputation. If you plumbing needs attention please call Bertolino Plumbing and Heating. Eliza Bertolino is the first person you will talk to when you call Bertolino Plumbing & Heating. She dispatches her husband Rob Bertolino, a Virginia Beach Master Plumber and her brother-in-law Tony Bertolino, also a Virginia Beach Master Plumber to fix your plumbing. All repairs are personally made by the owners. They take pride in their work and their reputation. Call Bertolino Plumbing & Heating. 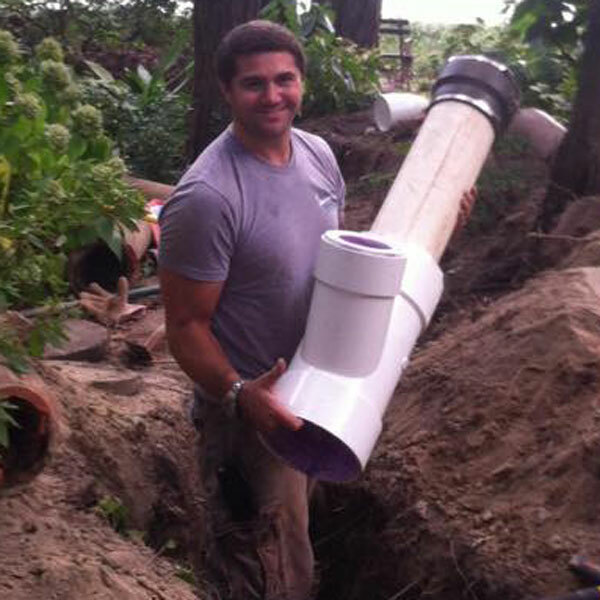 Tony Bertolino is a Master Plumber like his father, grandfather and great grandfather. He was the youngest person to teach plumbing in the Vermont Community College System prior to moving to Virginia Beach and joining his brother in early 2015. He now teaches plumbing in the Norfolk Public School System at night and works his and his brother’s plumbing business by day. Bertolino Plumbing & Heating has been installing, repairing and servicing homes for 9 years. When you call us you’ll get a Master Plumber who will do the job right the first time. From restaurants to hospitals to schools and shopping centers, Bertolino Plumbing & Heating has installed, repaired and serviced it all. Tony Bertolino even teaches plumbing in the Norfolk Public School System. No job is too small or big for us. If water flows through it, we can fix it and we have for generations. Our family has been keeping it flowing for 4 generations. Call us if you need your plumbing to work. Tony and Rob are not only Master Plumbers but they are also a great people. Tony has done plumbing jobs for several of my friends. When my sister-in-law had a pipe burst at 1am she called me. I called Bertolino Plumbing & Heating. Tony was able to get there in 20 minutes. He fixed the problem and did not charge overtime or after hours fees. One important note: My family likes to give me a hard time because I am very cautious. There are not many people I trust enough to send to my sister-in-law’s house at 1am. You can trust Tony and his company to do the job right and as a bonus you will get a man with high character to do the work. I highly recommend Bertolino Plumbing & Heating! At Bertolino Plumbing & Heating, we’re just a call away. We know plumbing emergencies happen at odd times, so we are available 24 hours a day, 7 days a week, every day of the year. Our licensed master plumbers are qualified to handle all of your emergency plumbing and heating needs. We offer fast responses, honest work and competitive pricing. Our team of expert plumbers in Hampton Roads provides a wide range of plumbing services for both commercial and residential properties, including installation and basic repairs and maintenance. We know that even a small leak can cause major problems, which is why we are open around the clock every day of the year. We can assist you with plumbing emergencies such as water leaks or frozen pipes, and our quick response minimizes damage and keeps your costs in check. 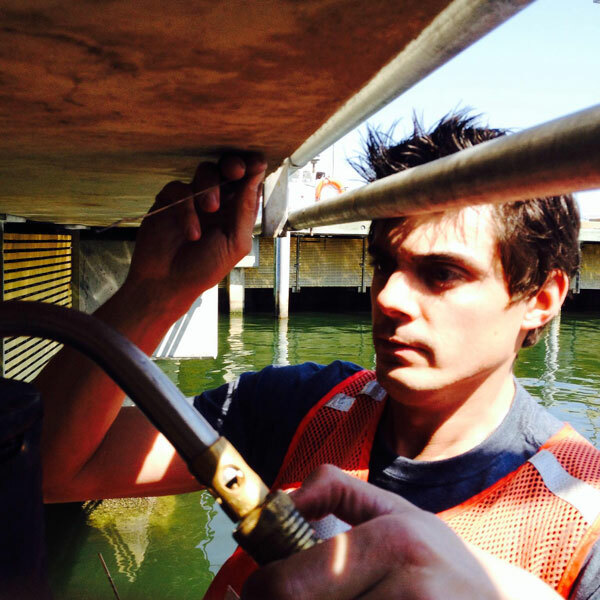 Outside of an emergency, our comprehensive services include pump services, drain cleaning and repair, and valve repair or replacement. Additionally, we specialize in the repair, installation and maintenance of water heaters and tankless water heaters. No matter what your plumbing needs are, you can count on our specialists at Bertolino Plumbing & Heating to provide quality, affordable solutions. • Master Plumber Licensed and experienced Hampton Roads Plumbers on every job. • Emergency plumbing services when available. • Availability at ANY time, 24/7. • A quick and efficient response for every call. • Competitive pricing on every job. • Cost savings through immediate repairs as well as preventative maintenance. Do You Charge For After Hours Emergency Service? Q: Do You Charge For After Hours Emergency Service? A: No. Our normal hours are 9am-5pm M-F. However, If you have a leak we will come right away at no extra charge.